Who knew a hairstyle this pretty can be so simple to do? A simple and classic bun. No-fuss and super easy! Love how elegant and poised it makes you look. The classic chignon’s fancy sister! The braided details add an edge to the simpler style. Classy, elegant, chic and super-pretty. Perfect for a formal festive occasion. Added a video to help with the tricky parts! How gorgeous is this? It’s a unique kind of updo that is so insta-worthy! Love this casual yet smart hairstyle. Another floral bun! Similar to the flower braid updo but a little more kept and sleek. 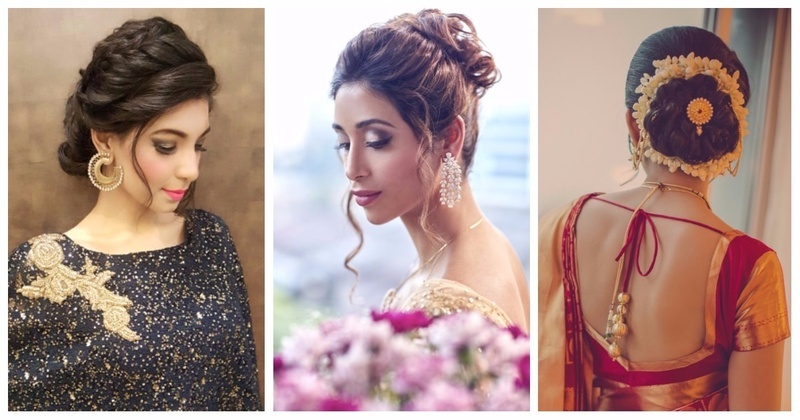 6 Braided Hairstyles That Look Ah-mazing With Your Wedding Mehndi Look!